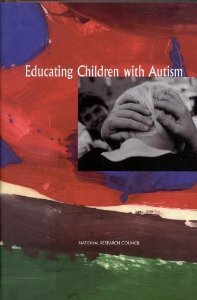 Educating Children with Autism by National Research Council. This book outlines an interdisciplinary approach to education for children with autism. The authors explore what makes education effective for the child with autism and identifies specific characteristics of programs that work. Recommendations are offered for choosing educational content and strategies, introducing interaction with other children, and other key topics. Pp. 324. This entry was posted in Education and tagged ASD awareness, Autism Spectrum Disorder, books, Education. Bookmark the permalink.